This post contains affiliate links. If you click on a link and make a purchase, Kol’s Notes will earn a small commission, but your purchase won’t cost you anything extra. This money allows us to buy craft supplies, dog treat recipe ingredients, an obscene amount of kitchen gadgets and sangria. Your support in helping keep Kol’s Notes in Business is appreciated. Am I the only one who thinks we take this Hallmark Holiday a little too seriously?! The flowers. The candy. The presents and fancy dinners and ugh. I’d rather stay home with the dogs. Why not poke a little fun at this made up holiday? 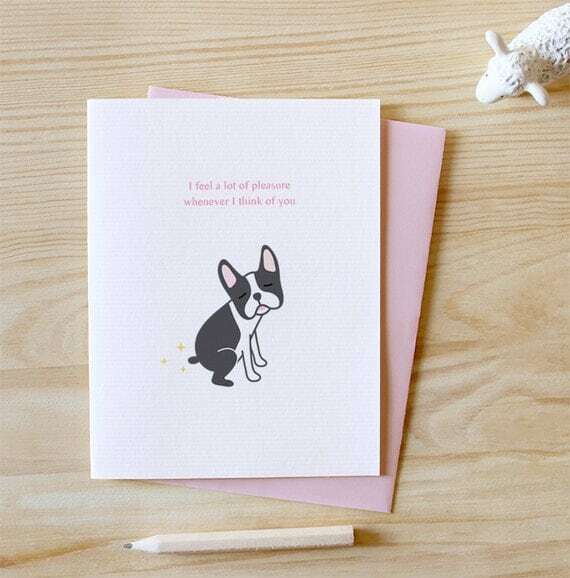 So with that in mind, I’ve curated a list of my favourite funny dog Valentines on Etsy, including three that I’ve listed in the Love, Felix Etsy store just for the occasion. Each one tickles my funny bone, makes me laugh and reminds me that maybe, just maybe, I might have a kind of warped sense of humour. See something you love? Head on over to Etsy to snag it. ALL THE CREDITS for this one goes to George and AJ from theartofAJ.com – In a MILLION YEARS, I could never have done this myself. Oh heyyyy, I mades that. Will you buy buying a Valentine this year? Will it be funny or heartfelt?? 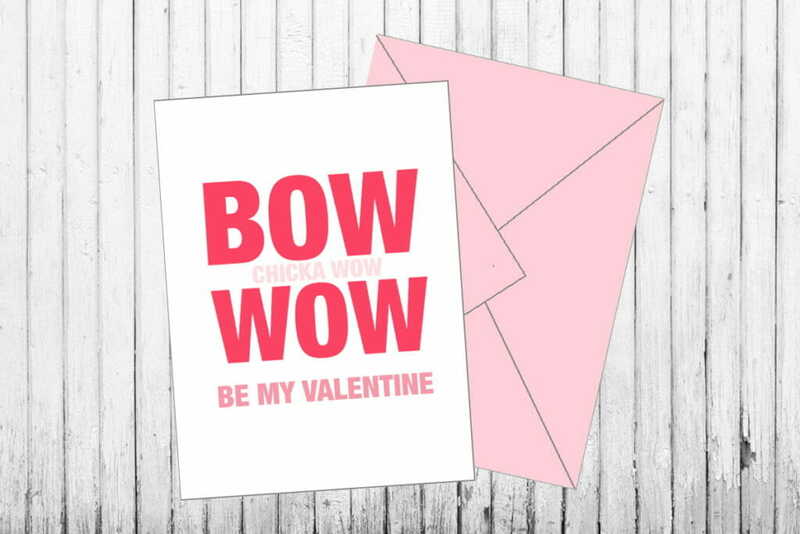 Check back later this week when we share our favourite sweet Valentine’s for Dog Lovers. HAHA, I want one of these! 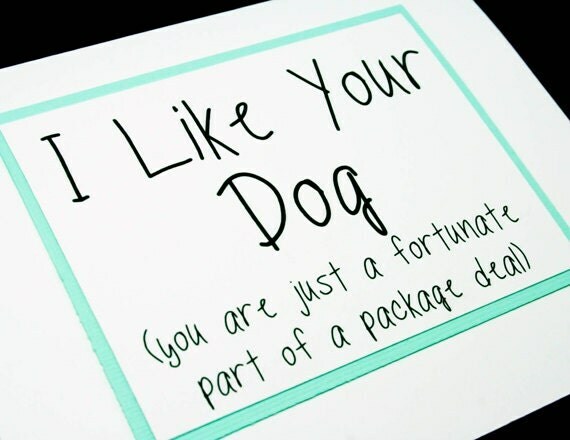 I especially love the ‘I like Your Dog’, that is basically how my hubby and I met, I feel in love with the puppy pic of his dog and he came along with it! 10 years later she (the dog) can drive me nuts… who knew that a 10yo Boston can still act like a 2yo!! Holy woof. 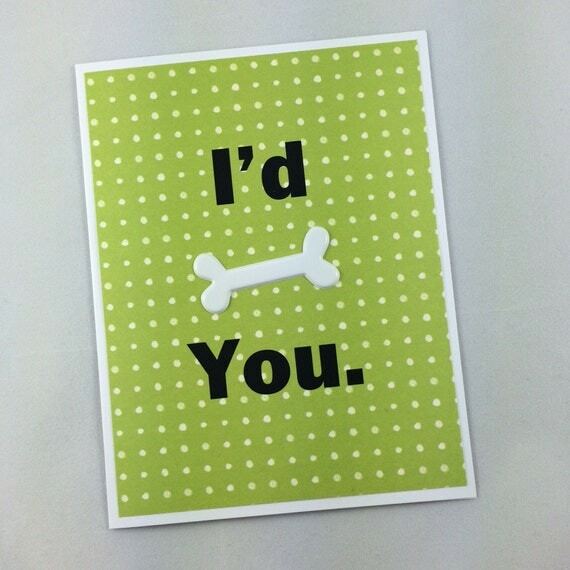 I can so see so many men buying the ‘Wanna bone?” card. 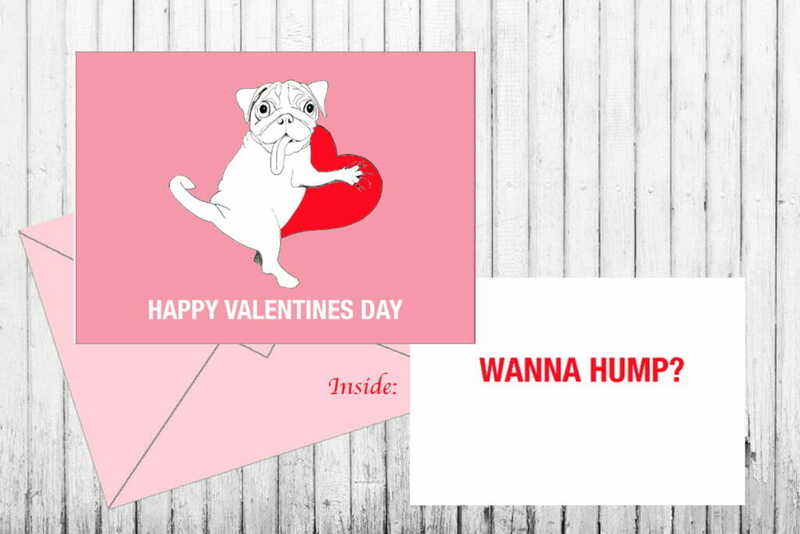 These are the best valentines I’ve ever seen – I want to get them for all of my coworkers, but I don’t know if they’d find them as funny as I do. They are memorable to be sure. I tend to make my Valentine’s as something edible like my hubby’s favorite pie. Oh goodness…it would be hard to pick a favorite. Haaa haaa haaaa! Okay – I must get some of these, they B so wrong they are right! HAAA! LOVE these! My husband and I don’t really do heartfelt, romantic Valentine’s celebrations. I’m pretty sure I need one (or all of these cards) for him this year. These are amazing!! They are all just too funny. I love these and so love paper cards! 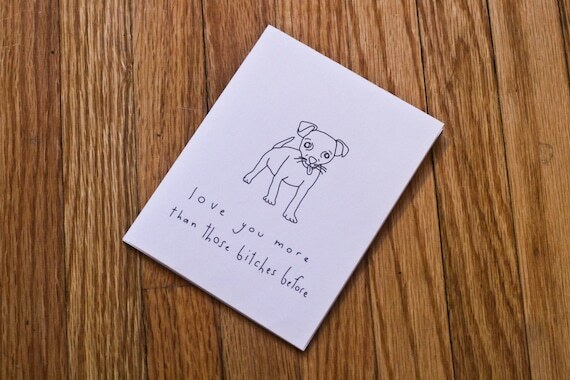 These cards are perfect for my husband and I. You have out done yourself once again. Some of these are really great finds! 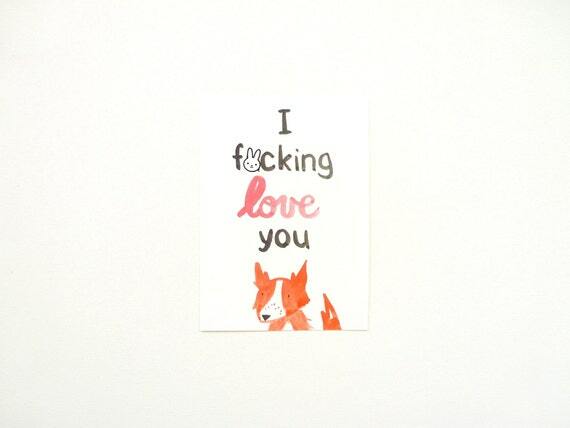 What a fun list of Handmade cards to check out and new Etsy sellers to follow! These are hilarious! Great find. I think I’ll have to bookmark these for the future. Too cute. I love the strip tease one. Laughed out loud. I think Foley missed her calling. 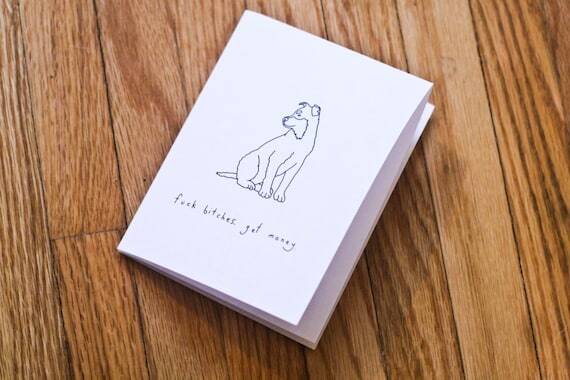 The greeting card industry. Who would have thought. Brilliant, some of those had me laughing out loud!! These are fantastic! 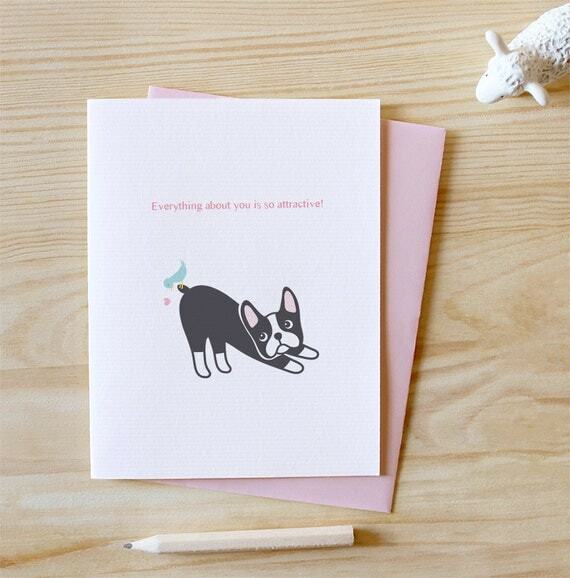 I love handmade or letterpress cards…the boys just like to eat them, but the hubs and I always try to do something cute and dog themed!